Student accommodation basically comes in two forms. There is purpose-built student accommodation, the modern (and very modernised) equivalent of what used to be called "halls of residence" and residential properties which just happen to be let out to students. Some of these properties will be Houses in Multiple Occupation (HMOs) and some will be let out in their entirety to sharers who just happen to be students. 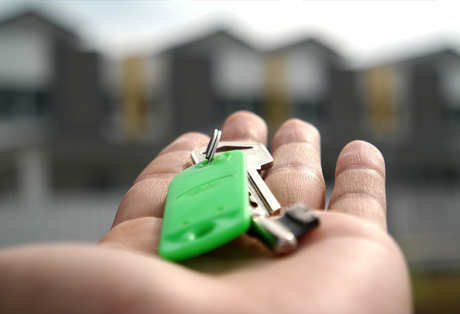 PBSA is classed as commercial property and so works to a slightly different set of rules than residential buy-to-let, but, otherwise, student lettings work on a similar basis to standard residential lettings, albeit with a few key points it’s important to note. The government has set out a basic definition for HMOs, however, this is a minimum standard to which local authorities can and do add their own further criteria. There are a number of reasons why local authorities may take a particular interest in landlords who are letting to the student population, many of which probably revolve around the need for local authorities to balance the fact that students can be excellent income-generators for an area with the fact that not everyone wants to live next door to houses full of energetic young adults. In principle, council tax should not be an issue for those letting only to students because students do not pay it (although, as always, rules can change). If, however, a single non-student goes to live in the property, then the entire home becomes liable for council tax and if the residents neglect to pay it, then you, as the landlord, could find yourself being chased for it. Students are liable to pay TV licences and a licence is per household not per property (e.g. each household in an HMO would need its own licence). It may therefore be worth your while to include the cost of the licence in your rent to ensure it is paid. This needn’t be a big issue, but is likely to involve some paperwork and possibly an on-property inspection. Students are not going to want to spend a lot of their own money furnishing a property in which they know they are only going to live for a year or two, likewise they are not going to want the hassle of arranging utilities. It’s also worth remembering that organizing the furniture and utilities yourself will give you control over them and ensure, for example, that they do not bring problems into the house (e.g. a second-hand mattress with bed bugs). In addition to being a place to display mandatory information (e.g. fire-safety certificates), an old-fashioned notice board can be a useful “command centre” to provide answers to any questions your tenants might have or to be a place for them to check for any information you want/need to give them.